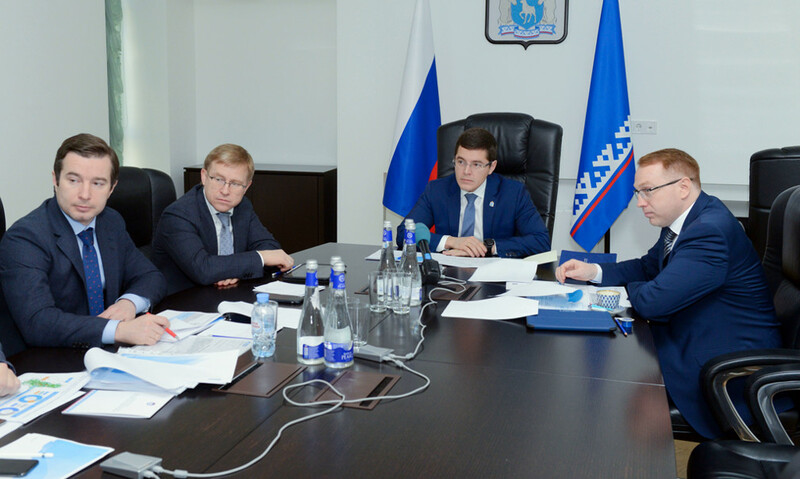 The meeting of the governor of Yamal-Nenets Autonomous Okrug Dmitry Artyukhov and the deputy chairman of the Board, the first deputy director general of Gazprom Neft Vadim Yakovlev took place in Moscow. They discussed the prospects of studying and developing of reserves of the Achimov Formation. The most powerful layers are located in Purovsky and Nadymskiy districts of Yamal. The project is important for development of production in the southern areas of the region. Development of Achimov deposits will allow extracting additional amounts of hydrocarbons in extractive fields with falling production. According to experts, recoverable reserves will make from 0.5 to 1 milliard tonnes of liquid hydrocarbons. However, their involvement in development requires technological solutions that will require unity of the scientific community, the state and manufacturers of equipment. According to the information given to the news agency “Sever-Press” in the press service of the governor of Yamal, it is planned to solve this problem within the technological testing ground for study and development of the Achimov Formation. In 2016 “Gazprom Neft” decided to separate the Achimov Formation as an independent search object and to begin implementation of the project “Bolshaya Achimovka”. In 2018 the company created the first digital model of the Achimov Formation. It is based on the results of research of Achimov deposits in six regions of Russia on the territory of more than 1 million 500 thousand square kilometers, mainly in Yamal-Nenets Autonomous Okrug and Khanty-Mansiysk Autonomous Okrug. The Achimov Formation includes layers located in the lower part of Cretaceous deposits practically directly above the Bazhenov Formation (a group of rock formations in Western Siberia lying at depths from two to three kilometers). The Achimov Formation is widespread in the central zone of the Western Siberian basin, the most powerful layers are revealed in Nadymskiy and Purovskiy districts of Yamal-Nenets Autonomous Okrug. Achimov layers are characterized with complex geological structure, what requires using technologically complex methods in development of these reserves.